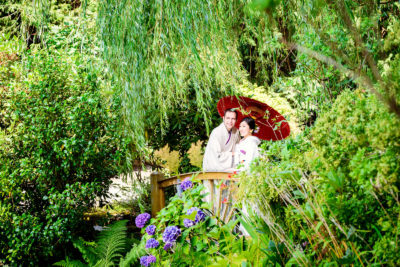 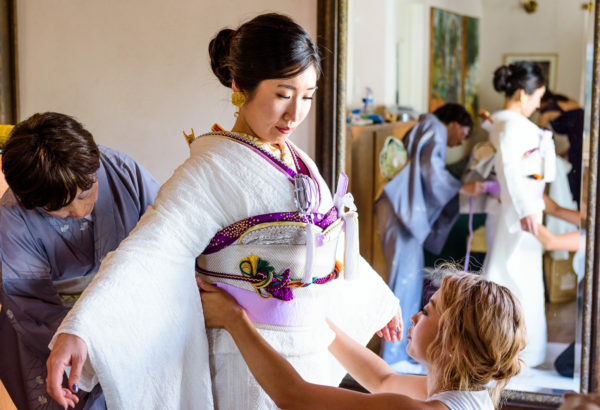 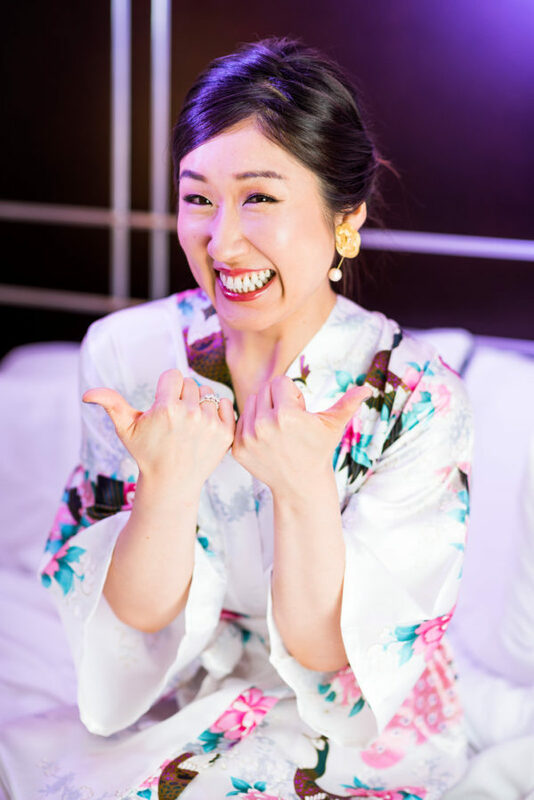 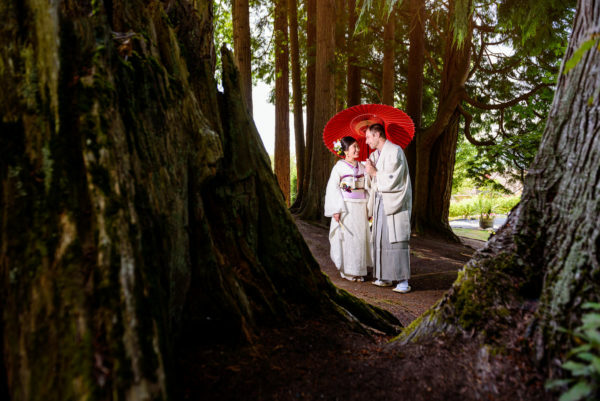 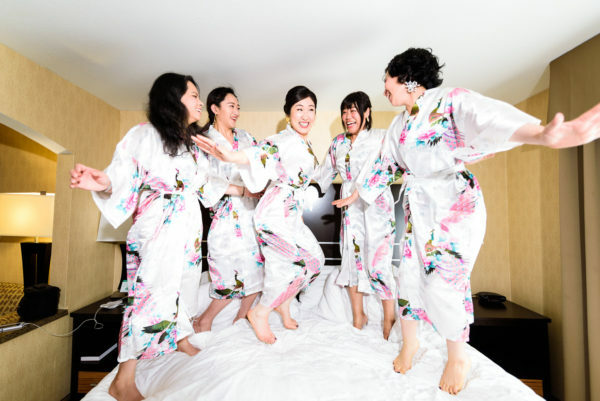 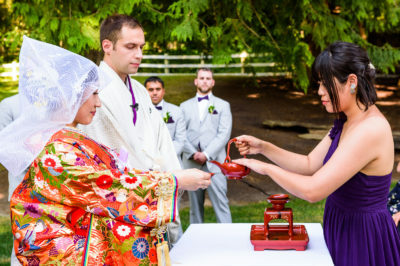 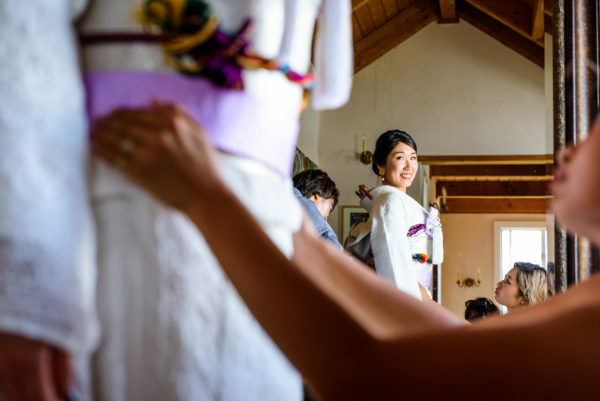 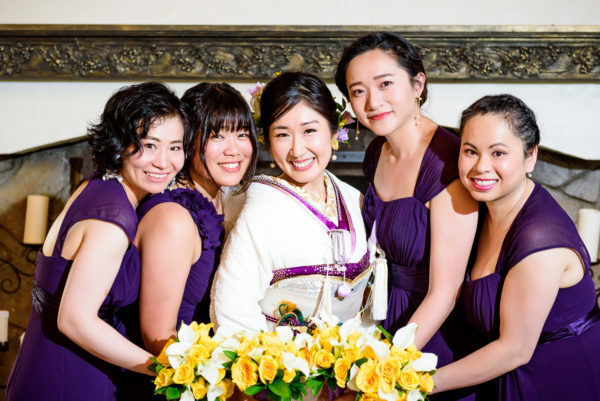 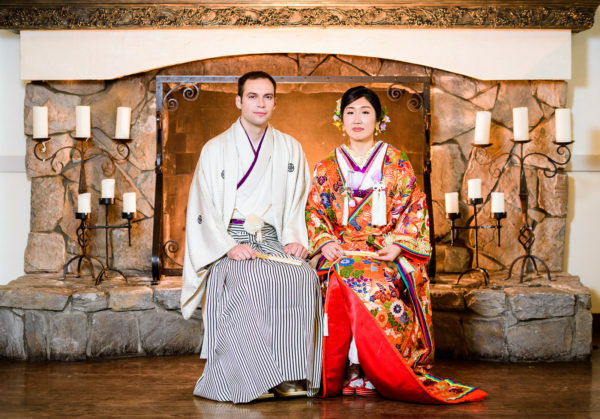 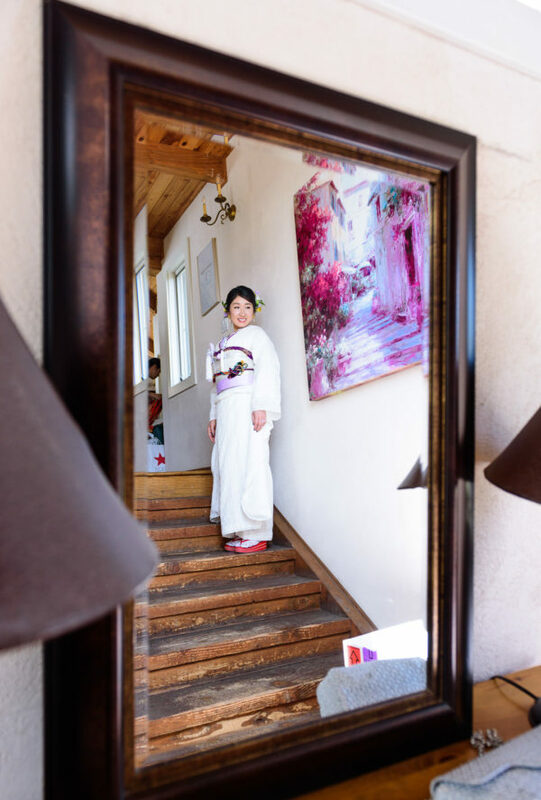 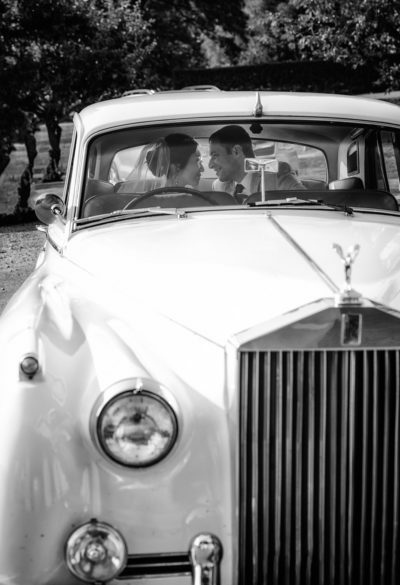 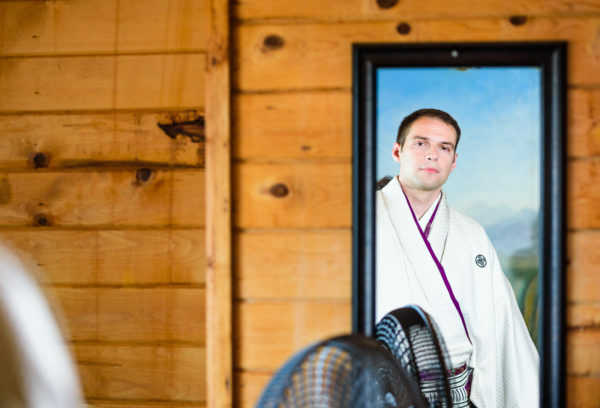 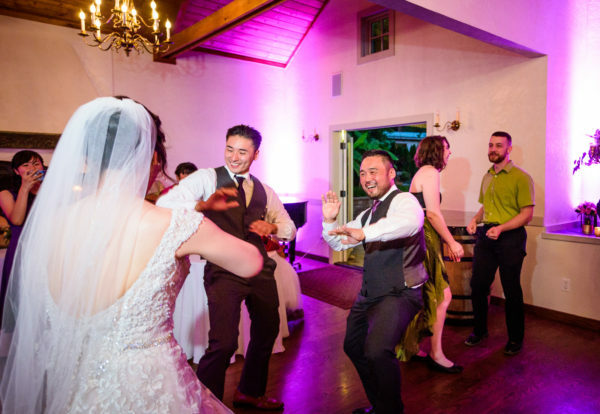 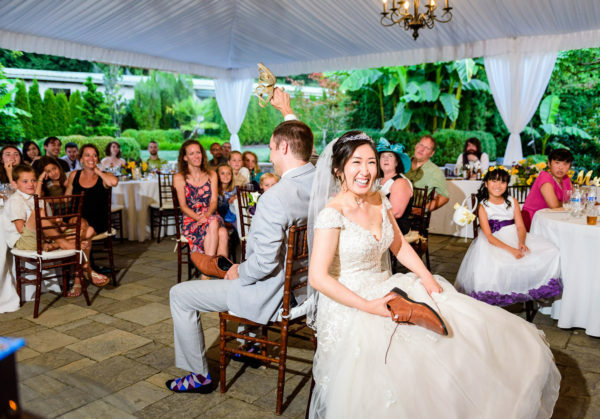 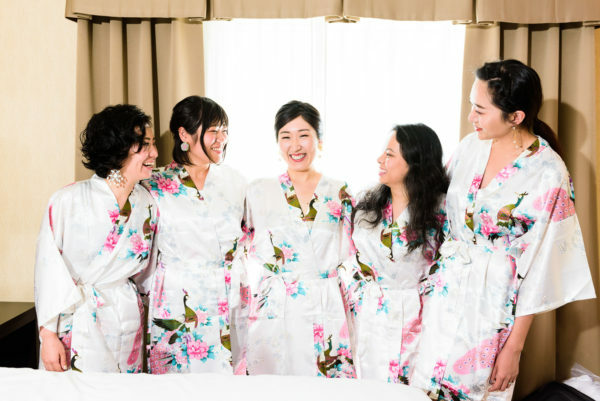 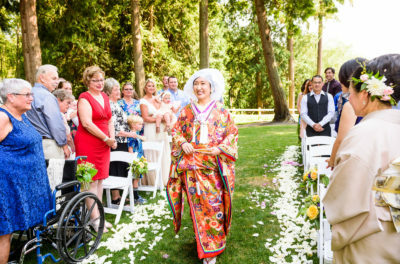 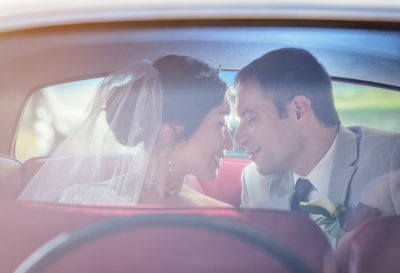 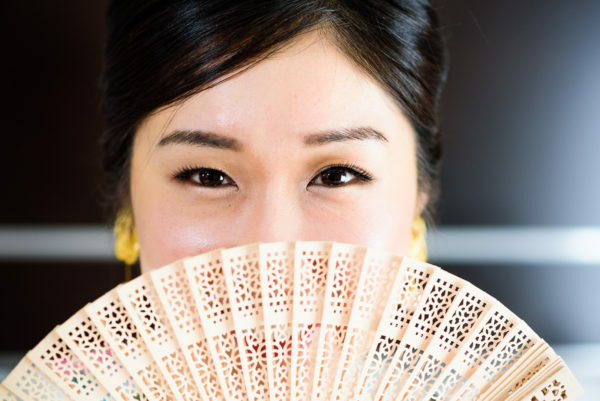 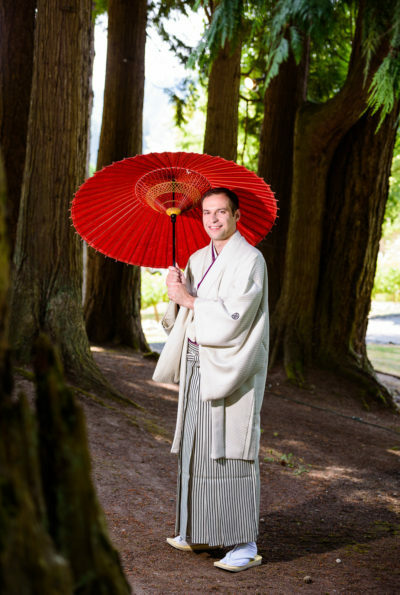 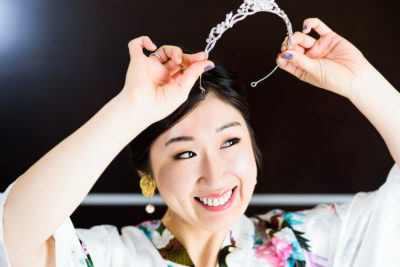 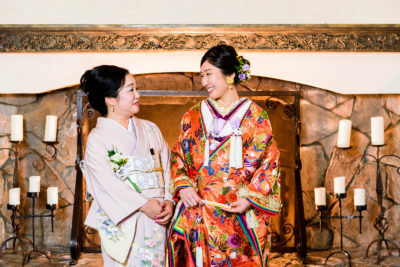 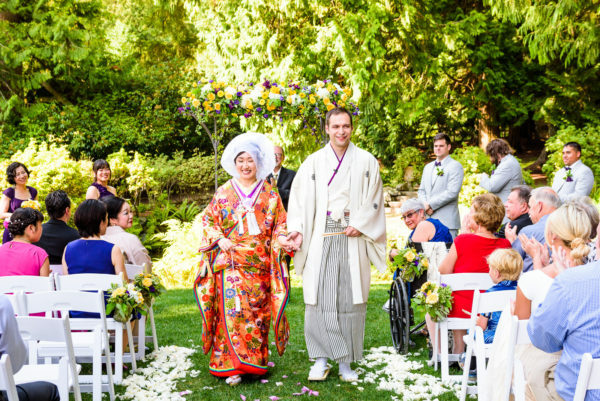 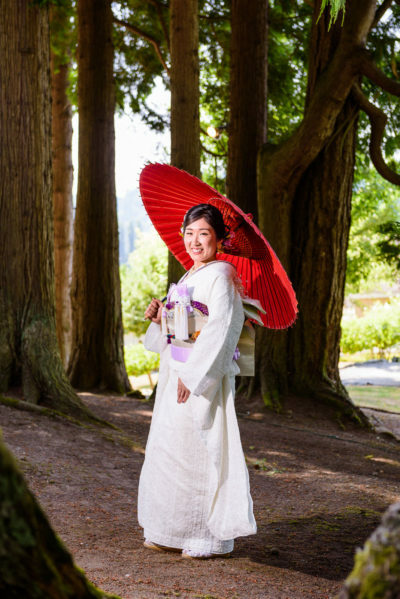 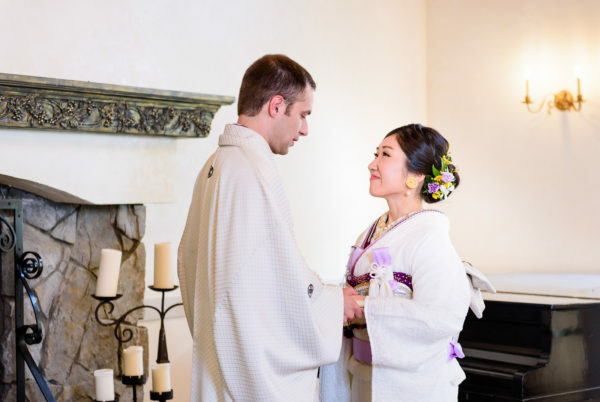 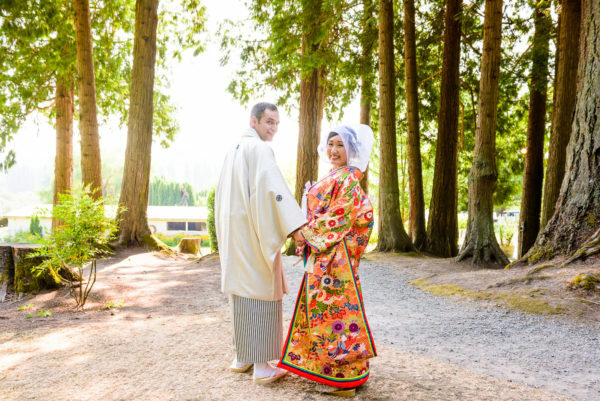 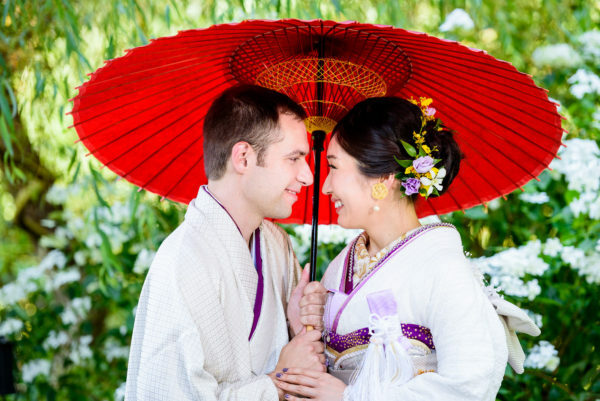 Saori and Trevor’s wedding was a fusion of Japanese and American cultures. 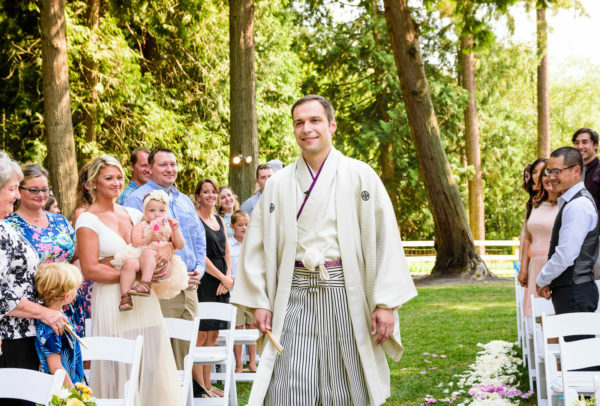 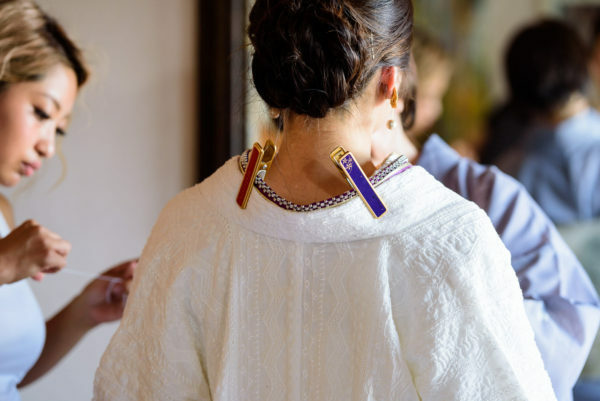 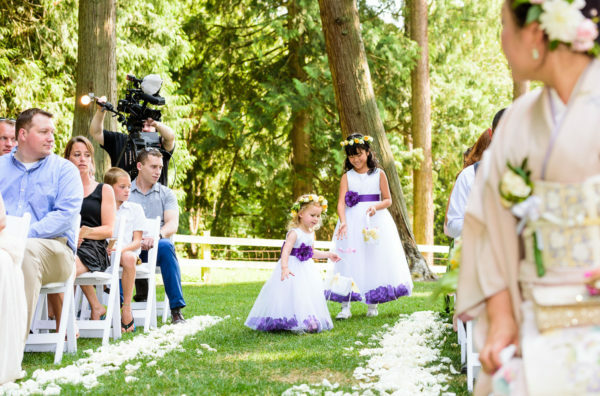 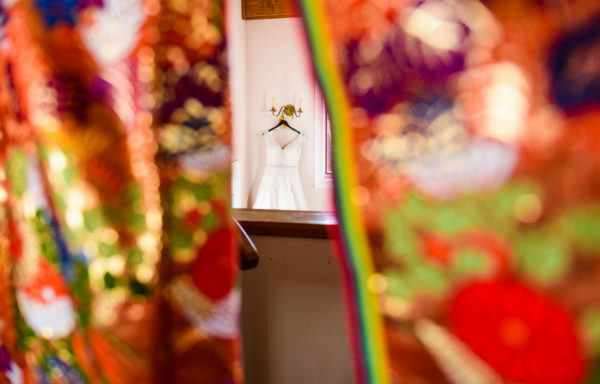 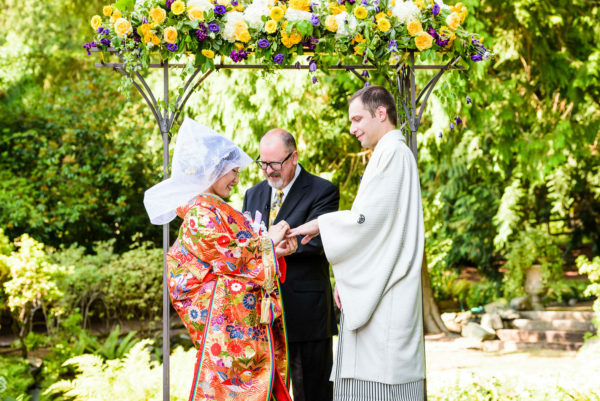 They started with a Japanese ceremony that featured traditions such as beautiful kimonos and a sake′ ceremony. 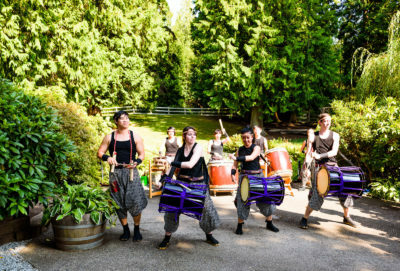 They also had traditional Taiko performers that did an amazing job dancing, playing drums and other instruments. After the ceremony, the Bride changed into a white wedding dress and veil for an American reception. 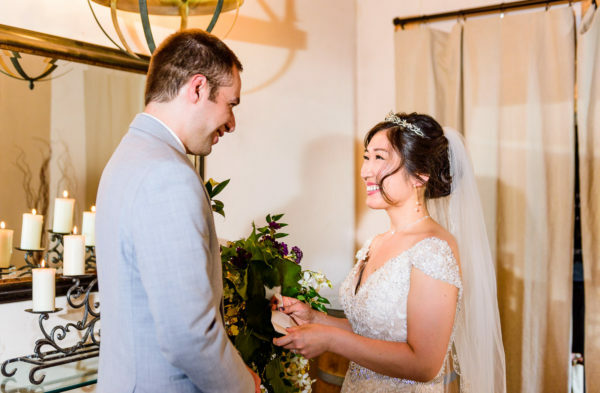 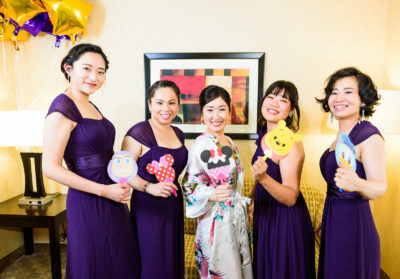 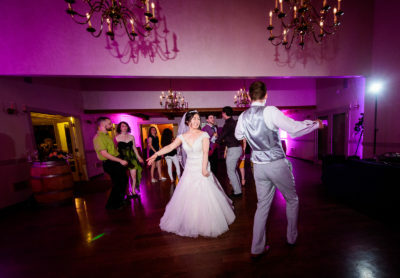 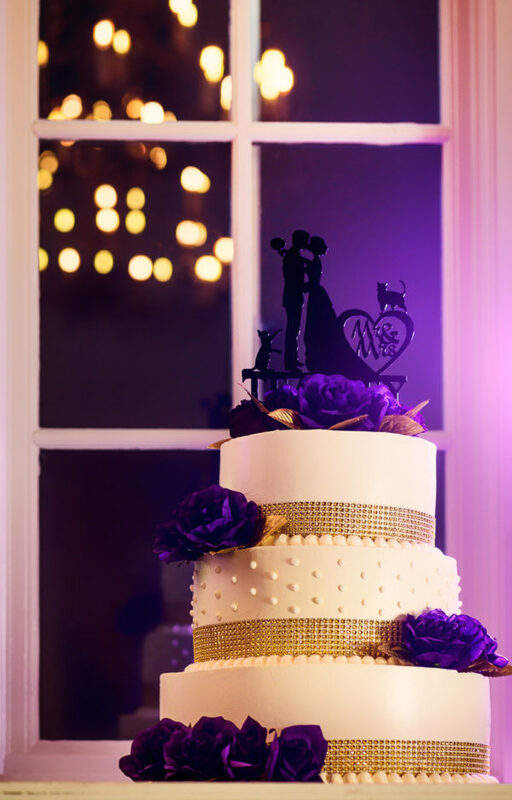 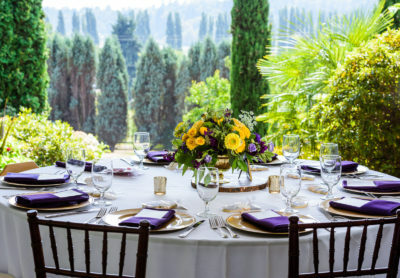 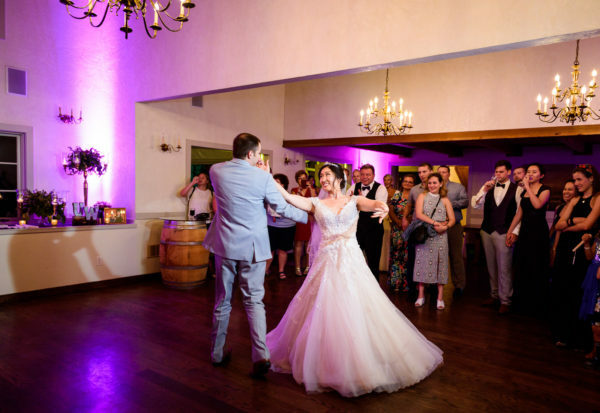 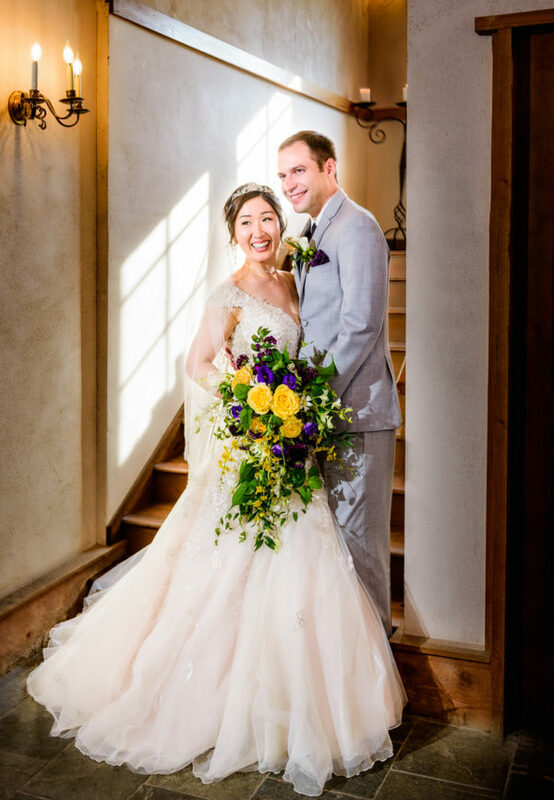 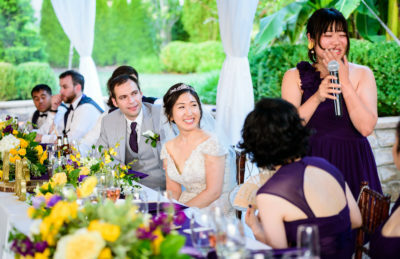 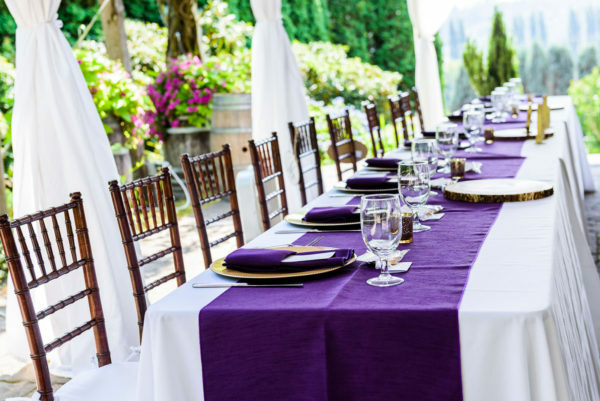 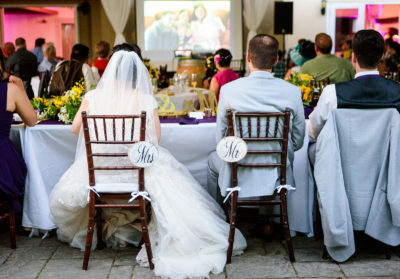 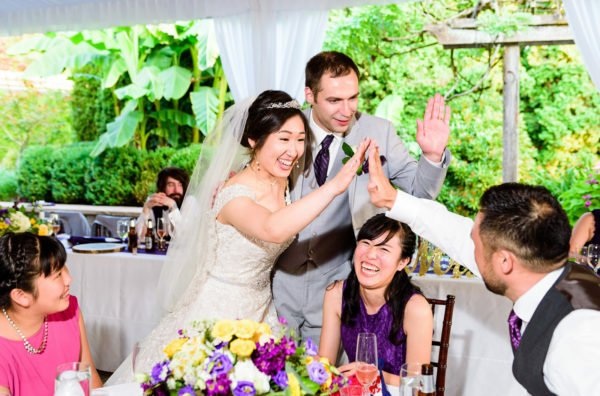 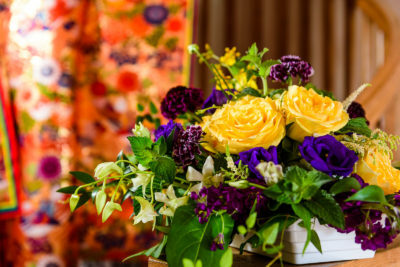 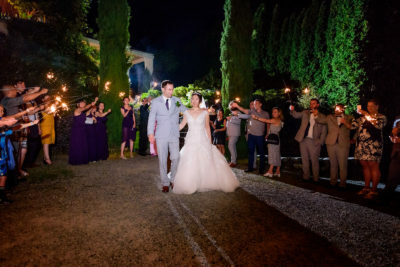 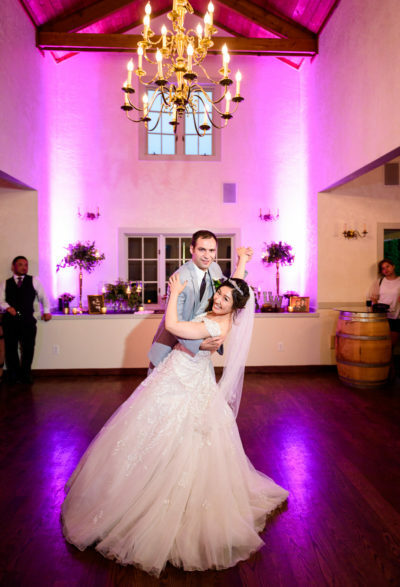 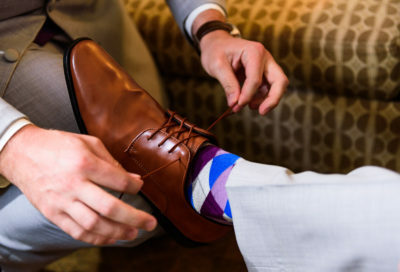 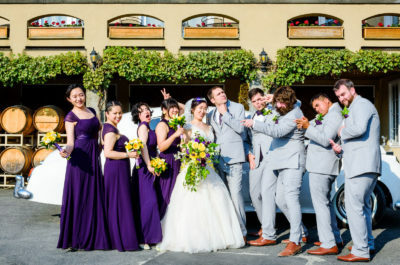 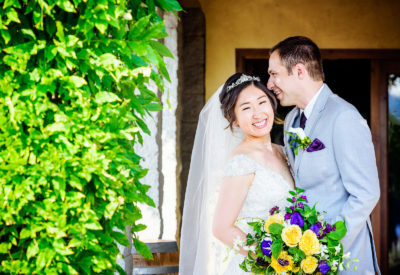 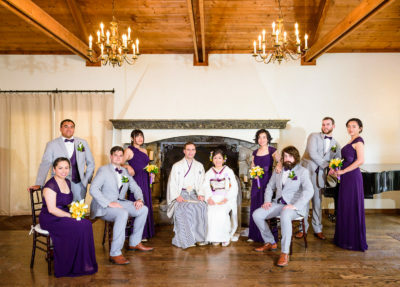 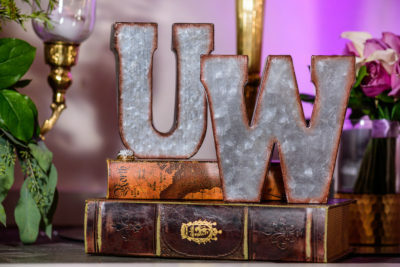 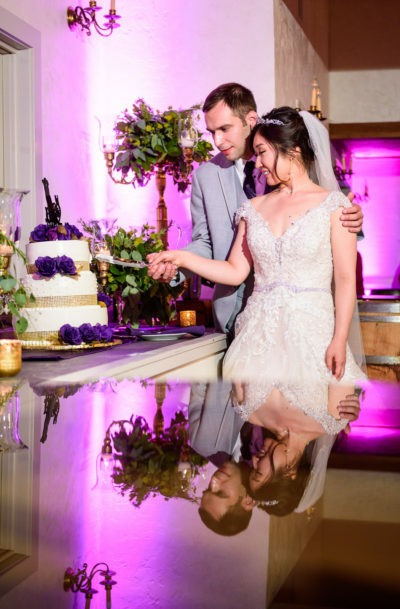 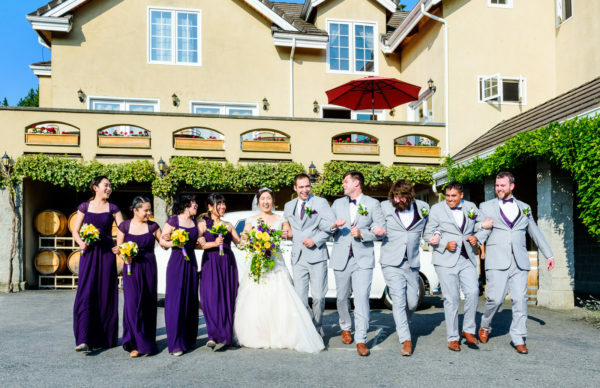 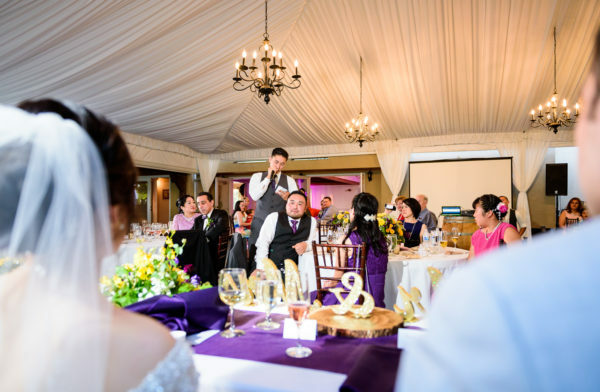 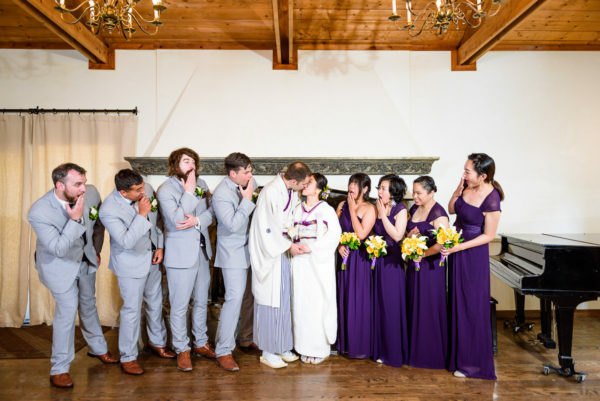 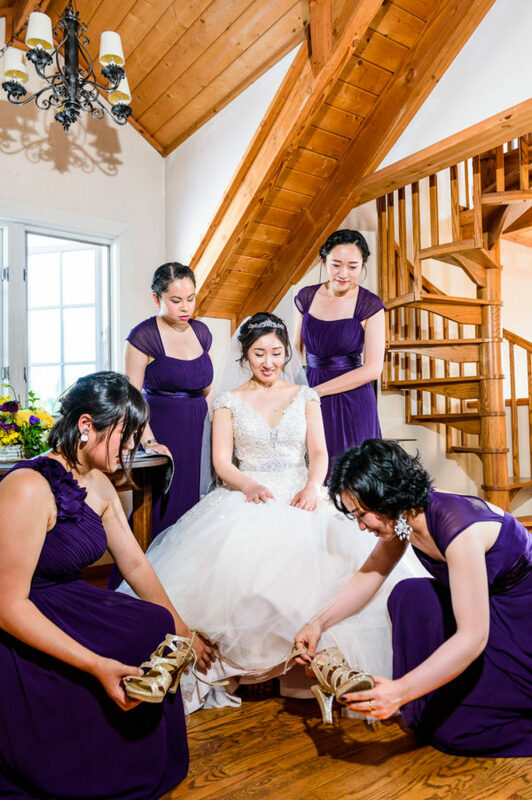 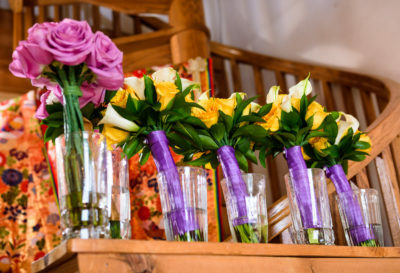 Both Saori and Trevor are graduates of University of Washington, and for their wedding they chose purple and gold, colors of the Washington Huskies football team represents the University of Washington in college football. 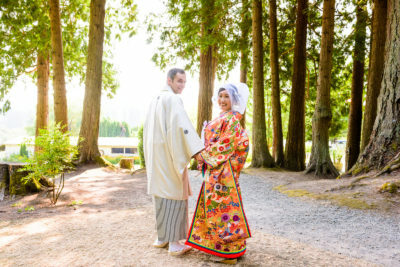 They even did their engagement photos on the campus. 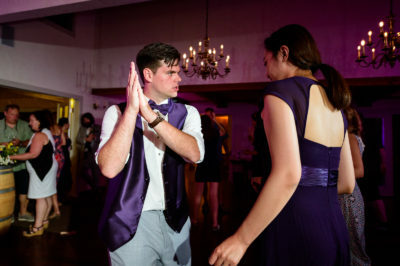 Knowing that we tried using purple and gold in photos throughout the day. 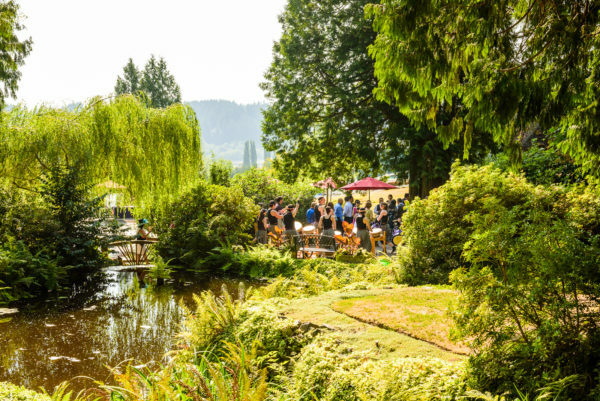 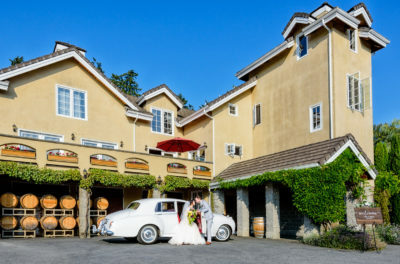 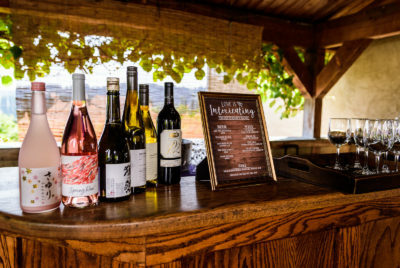 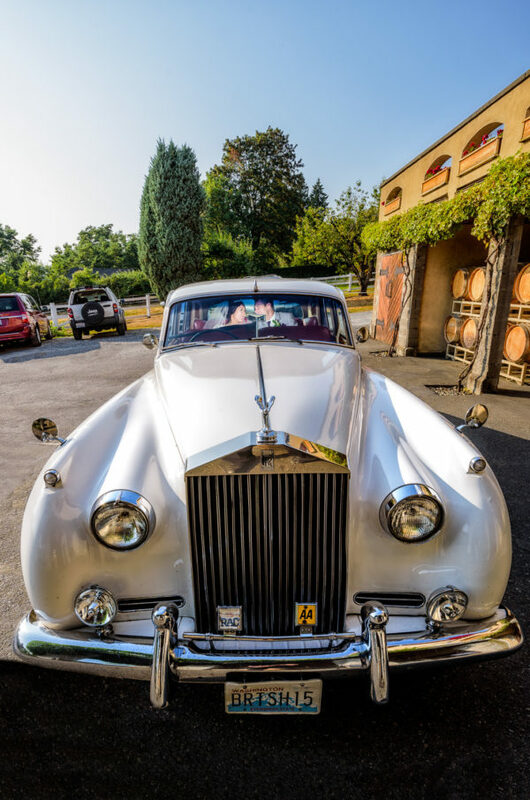 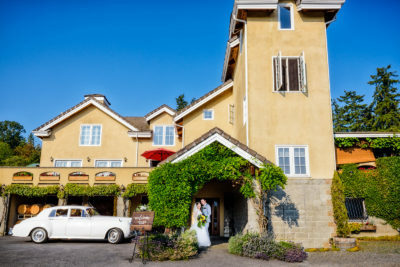 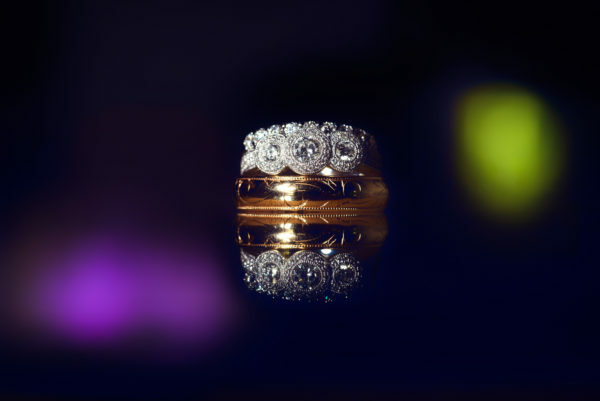 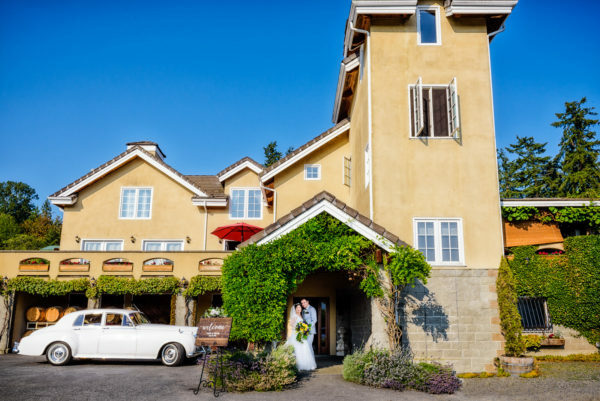 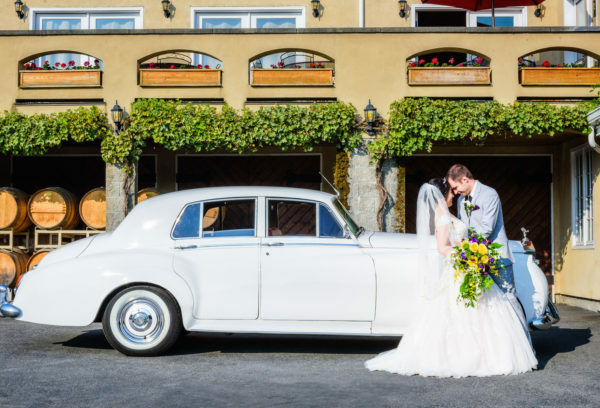 The venue is located in the heart of Washington wineries, in the town of Woodinville. It is perfectly designed for a Japanese wedding with a pond, gazebo, twinkle lights and even a little bridge! 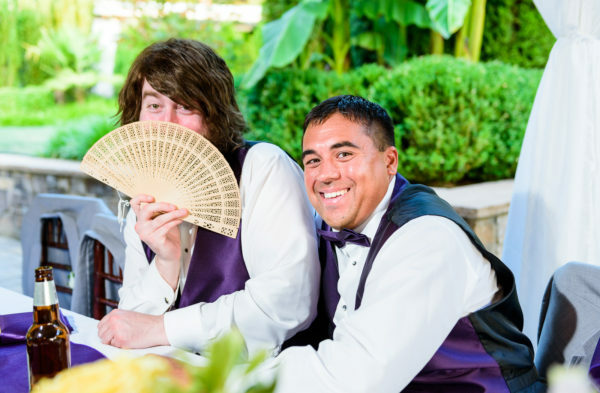 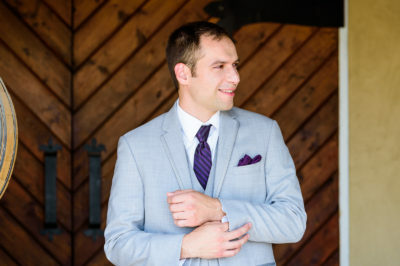 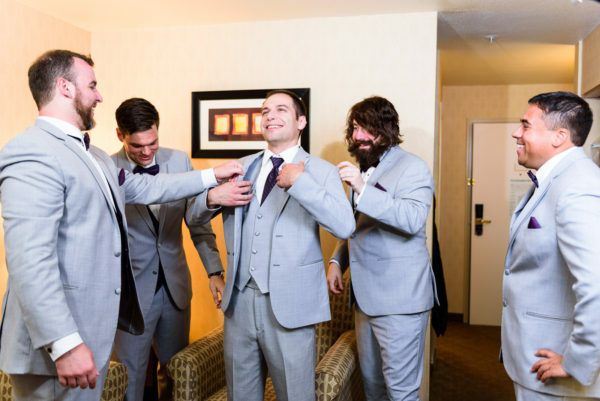 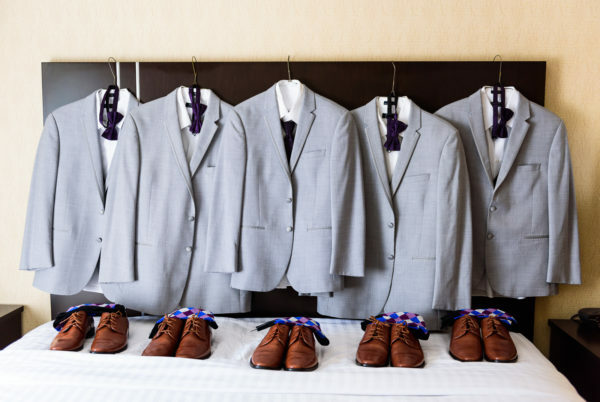 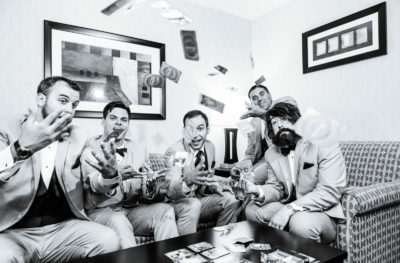 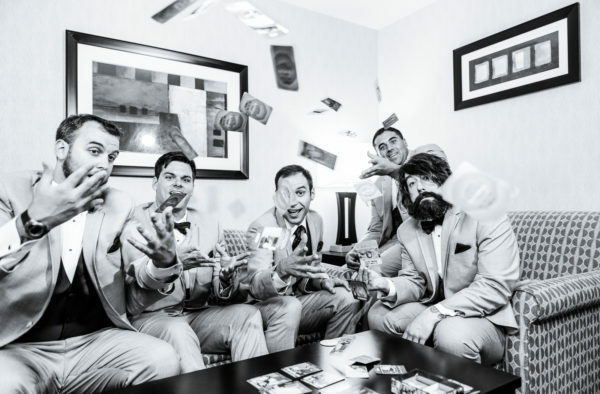 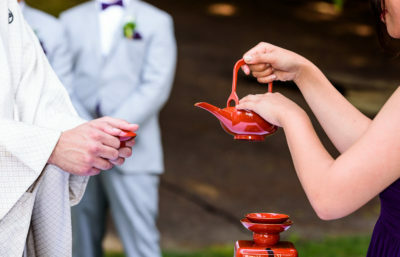 Their wedding was full of personal touches such as the cake topper dedicated to their two cats, and fun moments with the groomsmen paying their favorite card game. We want to thank Saori and Trevor for allowing us to be a part of their special day and all of the other vendors that made it all possible!